Escape the crowds here. No passport needed for US Citizens! 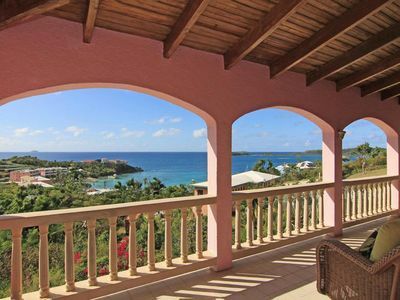 Enjoy year-round warm weather, island breezes and oceanfront views of Bolongo Bay in your tropically decorated Condo. 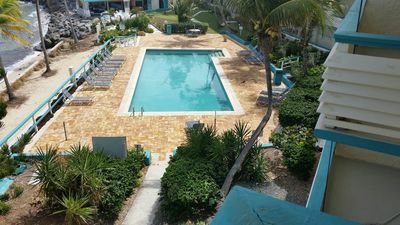 Private pool for condo guests, furnished private balcony and beach gear (portable chairs and cooler) are just some of the amenities of our condo that you might not find elsewhere. 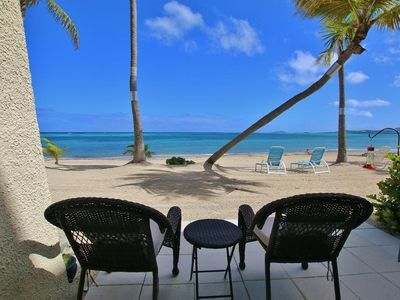 This oceanfront, spacious 2BR/2BA condo is centrally location on the sunny south shore - Close to everything! 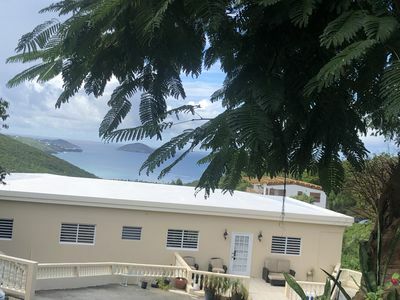 Charlotte Amalie is a short 10 minutes drive west to the duty-free shopping capitol of the Caribbean, and Red Hook is only 8 minutes drive east, where you can take a person or car ferry to St. John via a short scenic ferry ride or enjoy the Red Hook nightlife. 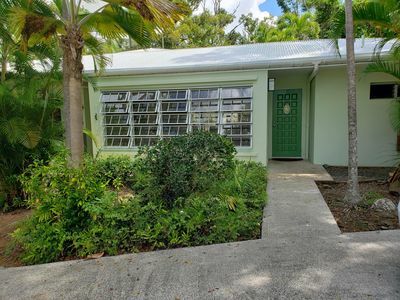 This 1100 sq feet condo accommodates 4 people perfectly. 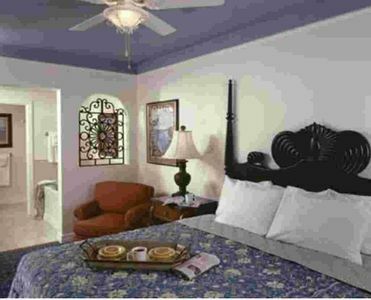 The villa has a well-designed layout with each bath part of the bedroom suite to promote privacy . 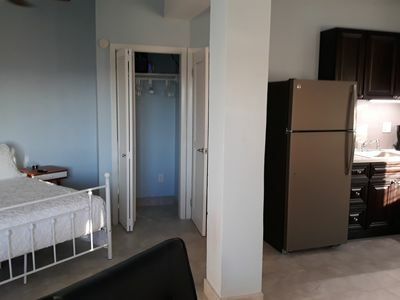 The two air-conditioned bedrooms are set apart from each other; the living/dining area are air-conditioned as well. 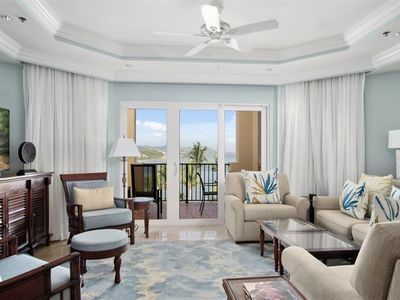 Condo has an oceanfront master suite with king-size bed that showcases breathtaking oceanfront views and access to the 30 foot balcony through large sliding glass doors. The 2nd bedroom can be configured as two twin beds or together as a king-size bed to your preference. Each bedroom has its own bathroom with a tiled shower. All linens, sheets & towels are provided. 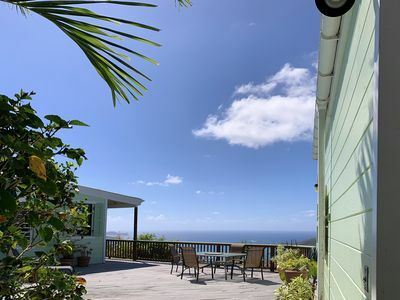 Two delightful oceanfront restaurants are right on property: Mim's Seaside Bistro, where you can enjoy all-you-can-eat shrimp and Caribbean lobster right at the ocean s edge, and Iggies Oasis restaurant serving delicious breakfast, lunch and dinner. 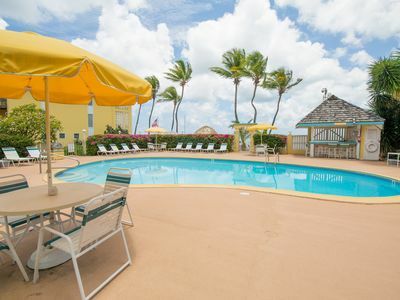 Drink in paradise at their swim up bar or dance the night away with their live music. 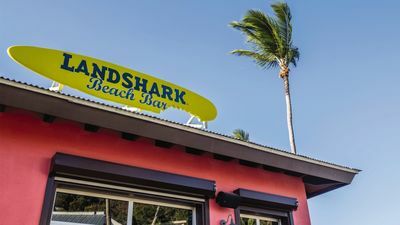 Iggies has been voted St. Thomas s #1 beach bar in Caribbean Travel & Life magazine, and our onsite Bolongo Beach has been featured in premier travel magazines, including Caribbean Travel & Life and Islands. 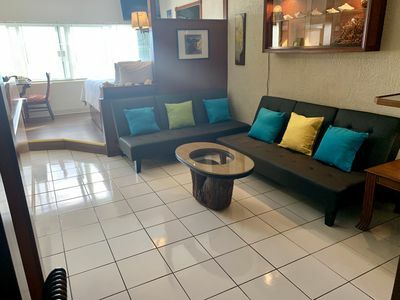 For those of you who may want to dine in and enjoy the spectacular views and privacy of your own villa, the condominium is equipped with a full kitchen with appliances and cookware that you have at home. A dining area adjoins the living room with a glass-top dining table with chairs, in addition to tables on the patio/balcony for exterior dining. 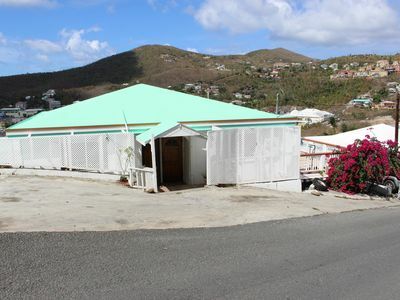 A perfect home base in St. Thomas & to St. John and surrounding islands. 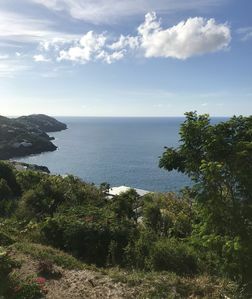 Within fifteen minutes by taxi or rental car are grocery stores, duty-free shopping in Charlotte Amalie, Saint John ferry in Red Hook, Magens Bay Park and beautiful beach and the airport. 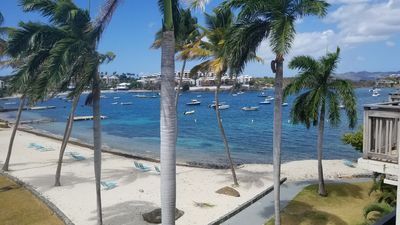 St John is a must see and is only a short ferry ride via car or person ferry from Red Hook (a nice day is packing the cooler, beach towels and portable chairs provided in the condo and taking your rental car to St. John to explore & snorkel all the beaches). Ask me about chartering a boat to explore the beautiful surrounding islands. 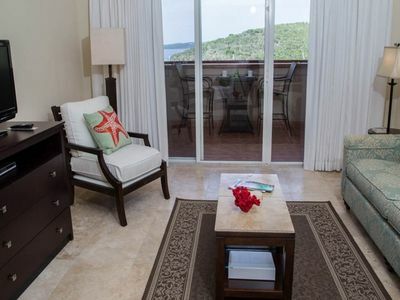 For guests who reserve the condo, the manager resides here and has done all the research for providing you endless ideas for island activity and dining information via email and in the condo to assist with your vacation planning. 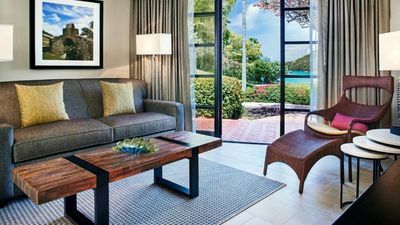 We invite you to make our condo your Caribbean home-away-from-home, and welcome you to contact us to learn more about planning your special vacation in tropical American paradise. 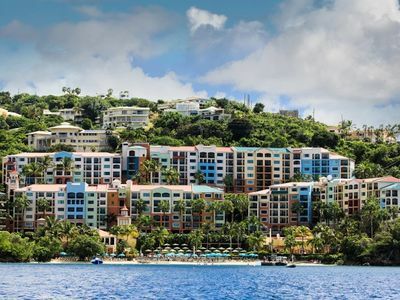 An added benefit for St. Thomas is that No Passport is Required for US Citizens to the US Virgin Islands!!! Magic by the Sea... 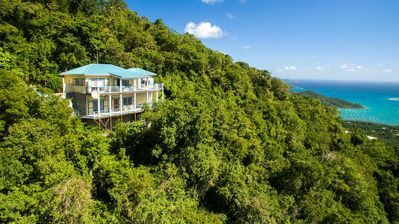 Your perfect island Stay! 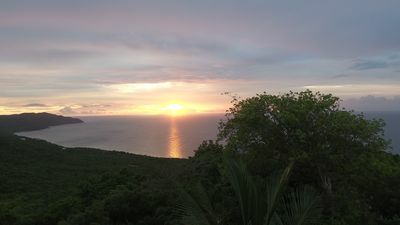 Oceanview Studio Condo--Secluded Northside Getaway!